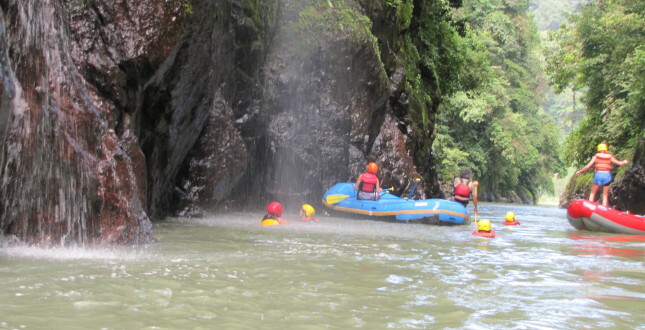 There are two rafting trips available in Boquete. 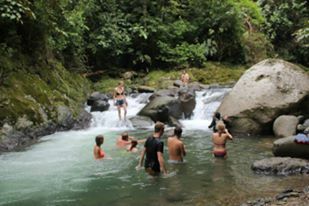 One trip will take you down some amazingly beautiful stretches, but with a relaxed pace on the Rio Majagua (Class II/III). 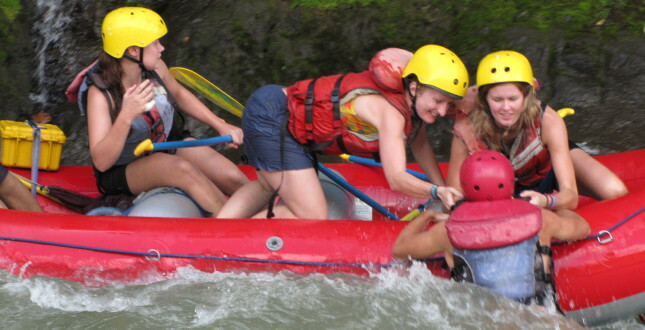 The other trip offers a little more action. 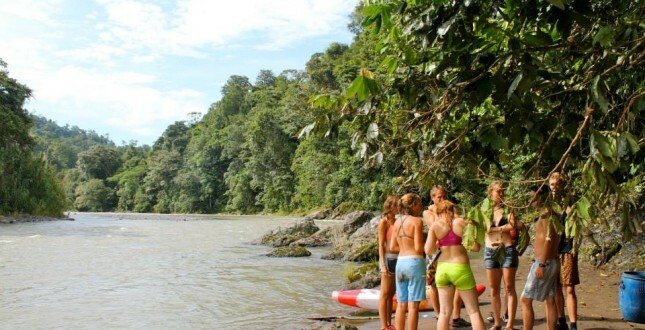 You will go down the Rio Chiriqui, a classic Class III run that offers not only super fun whitewater, but also a side trip to the Caldera Hot Springs! 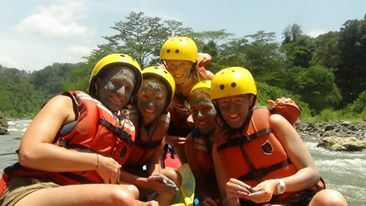 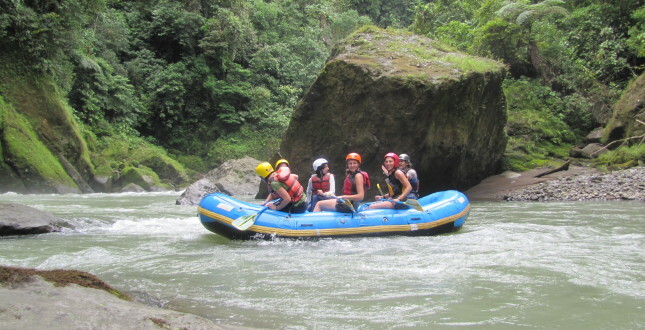 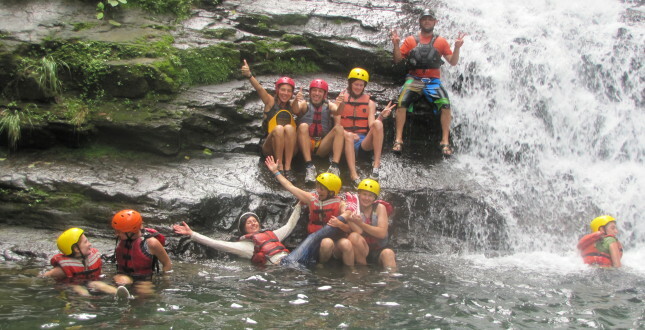 There are two rafting trips available in Turrialba. 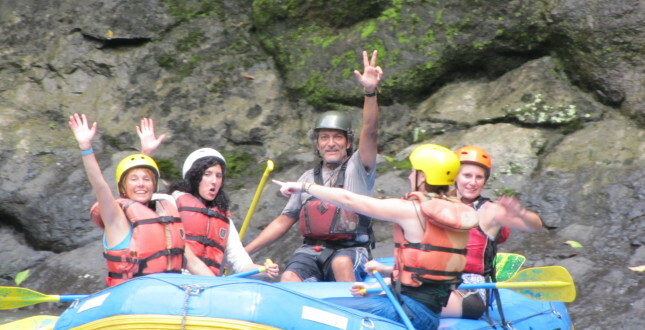 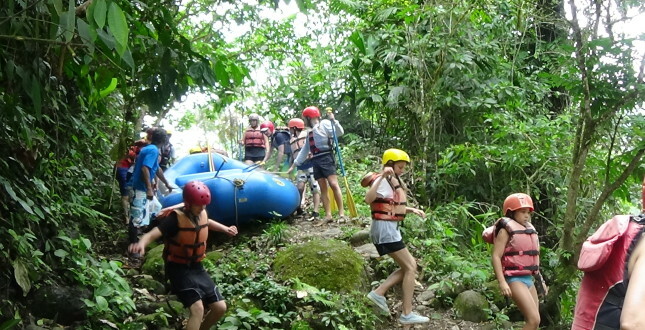 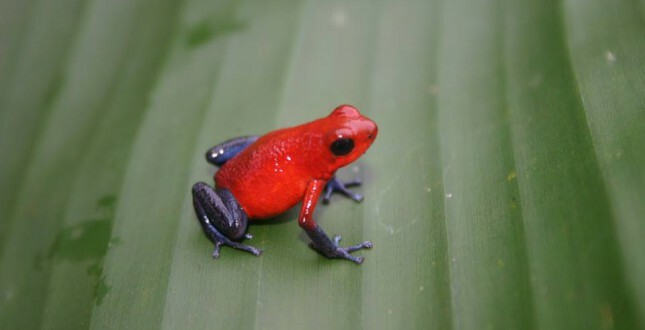 One trip is on the famous Pacuare River and will take you through the primary rain forest. 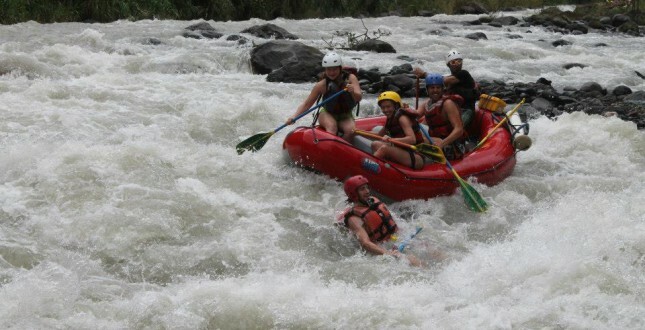 You will experience class III and IV rapids in a raft with a max of 7 people. 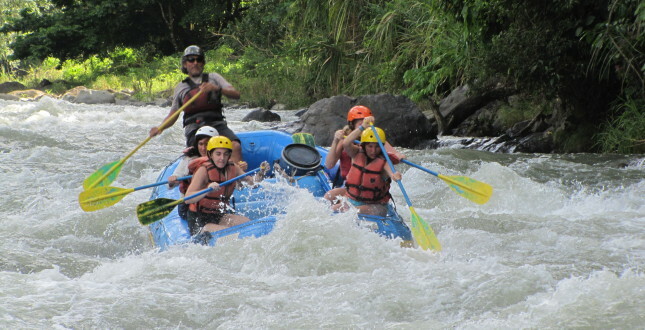 The other trip is on the Pejivalle River (class I-II). 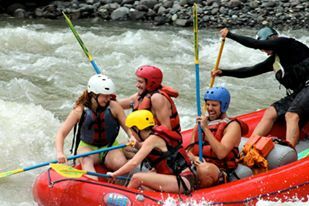 People from all over the world come to Turrialba to go rafting, and it is an essential experience that the student should not miss.